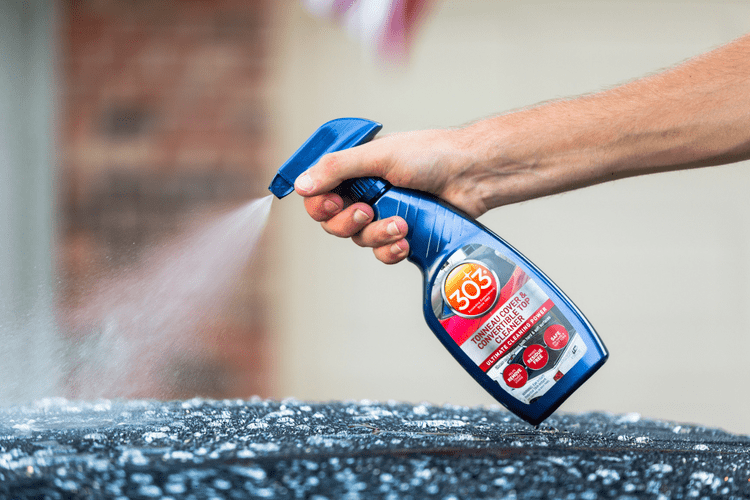 303® Automotive Tonneau Cover & Convertible Top Cleaner is rated 4.6 out of 5 by 48. Rated 4 out of 5 by ScottW from Nice to have a product for this purpose! It always seemed to be problematic to keep my tonneau cover clean. I was glad to see a product specifically made for this purpose that is easy to use. 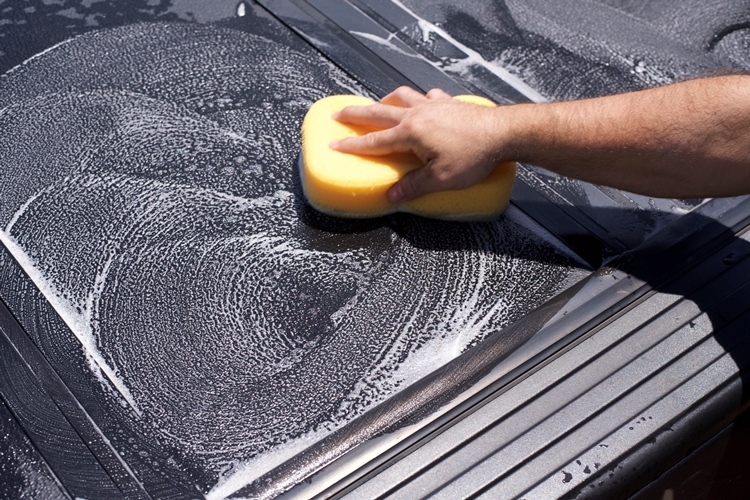 I utilized the Tonneau Cleaner after cleaning my truck, since it is rinsed off and wet as the instructions suggest. Generally speaking, it is easy to use with a soft brush on a handle. With a rinsed off cover, I spray on half of the cover the 303 cleaner and scrub, get the other side, let it sit for a few minutes. Then, rinse off the cover. Voila! Clean tonneau! This product will stay in my arsenal for keeping my truck clean and looking good! 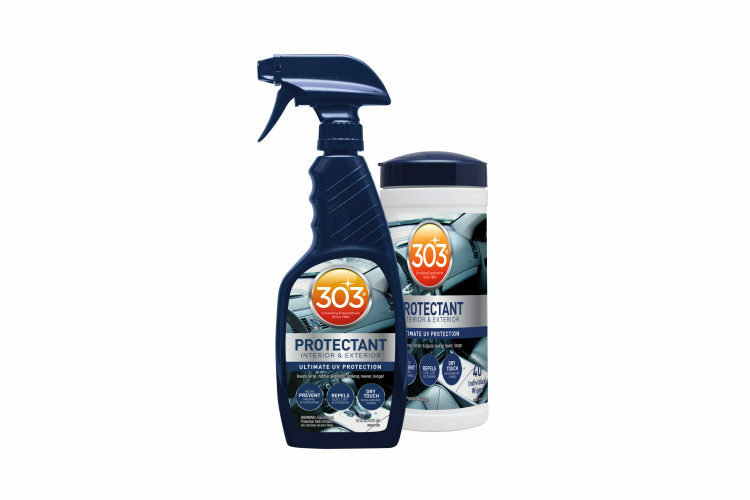 I also followed up with 303 Aerospace Protectant. Rated 5 out of 5 by Anonymous from Really works! It's winter in the northeast so I didn't think we could try this product out until spring, but my father's tonneau cover was pretty dirty. It had some mud stains that just wouldn't go away, even through the car wash. He didn't want to wait until Spring to clean it so we had to bring it inside. We first hosed it off in a kiddie pool in his basement. We then applied the 303 tonneau cover cleaner and rubbed it in with a brush. When we rinsed the cleaner off I was amazed by how much dirt was in the pool of water. Yes the cover had a few stains but we did not realize actually how dirty it was. Once it dried it looked better than new. 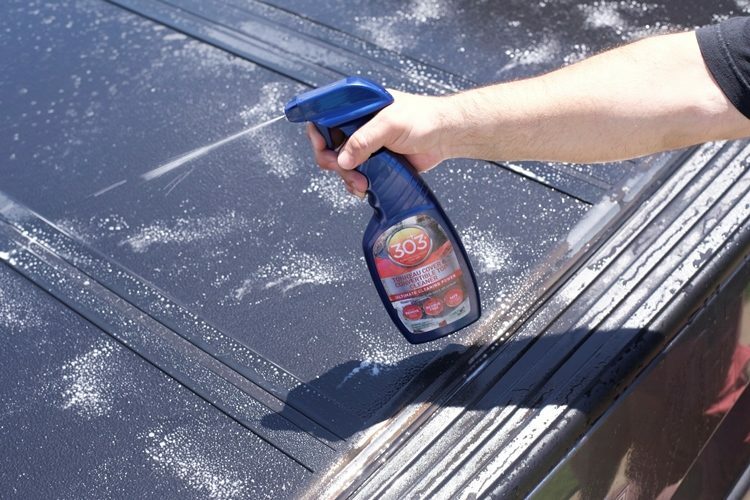 Rated 5 out of 5 by AAKJR from Easy application I used this product on a vinyl top on my 1965 Malibu SS convertible. The vehicle is garage kept so the stains I get are infrequent and don't get a chance to dry or set in. The application was easy to apply and I used a terry cloth to apply and remove the product. It cleaned the spot with no apparent residue left. 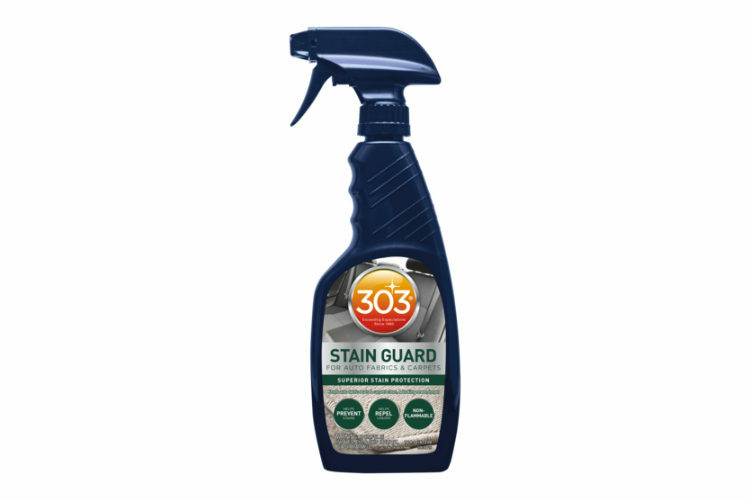 I've used the 303 Sunbrella cleaner on my boat canvas with great success, so I'm sure this will be a good product too from 303. 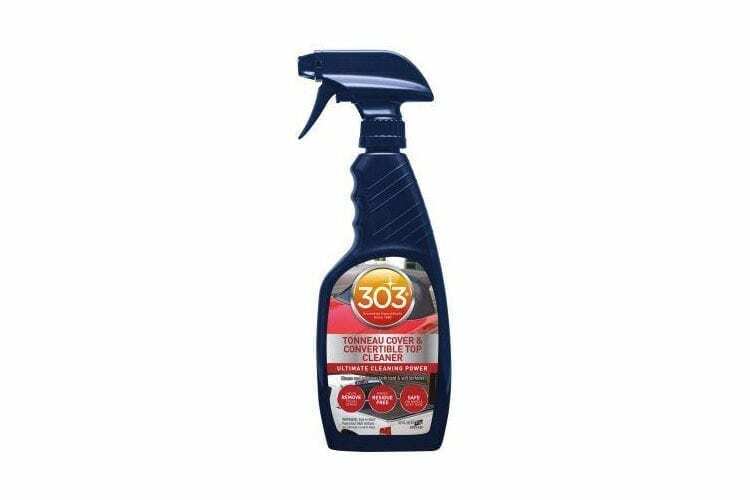 Rated 5 out of 5 by Chris J from 303 Tonneau Cover & Convertible Top Cleaner. 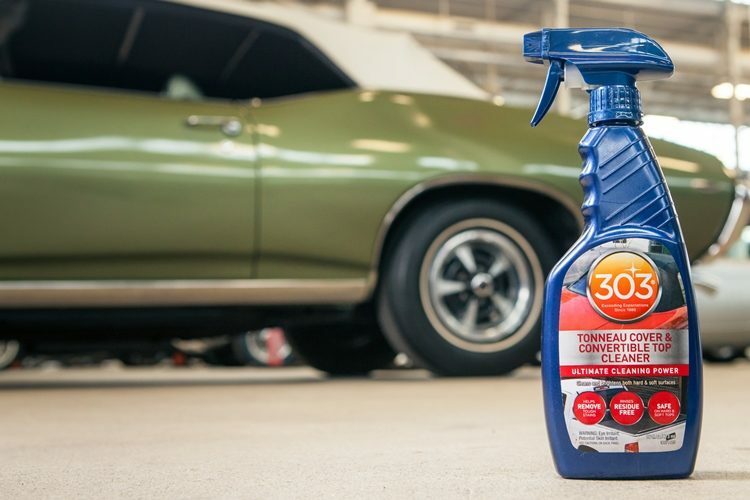 I was amazed on how easy this Tonneau and Convertible top cleaner was to use, I read the direction and it worked perfectly on my Jeep top and it has never looked better and when I was finished by buddies couldn't wait to get this 303 cleaner for their vehicles right away. 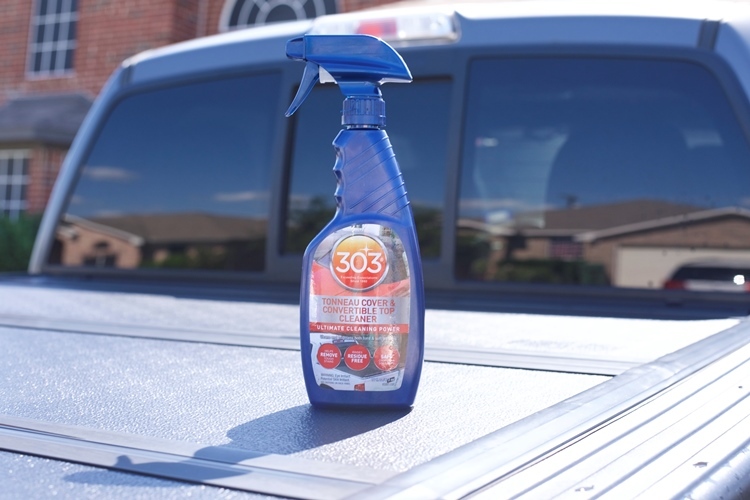 "The 303 Tonneau cover & Convertible Top cleaner worked so well I was able to eliminate 3 steps of the cleaning process I use to have to do" Thank you "303"
Rated 4 out of 5 by bigjeep14 from Better Than Expected I was not sure how this would work on the Tonneau cover of the truck as it was in really bad shape. I followed the directions and it did get a little better. A few days later I applied it again and the top looks a 100x better. Wish I had this product when I first got the Tonneau cover and I am sure it would still look like brand new. May take more than 1 treatment but it does work!!!! Rated 3 out of 5 by Perryb47 from Good Results Used this product on my wife's black convertible BMW Z4 with a black top. I wanted to see if it would effectively remove some bird droppings from the black top and it did. I actually had to do it twice ( the second time I let the product sit for approximately 10 minutes before scrubbing with a soft bristle brush) and it removed all signs of the stain.